height of your table pad. Choose from 2 leg styles. Rectangular Arm and Hand Surgery Table clamps positively to operating room table with unique posi-lock clamps - providing unmatched stability. 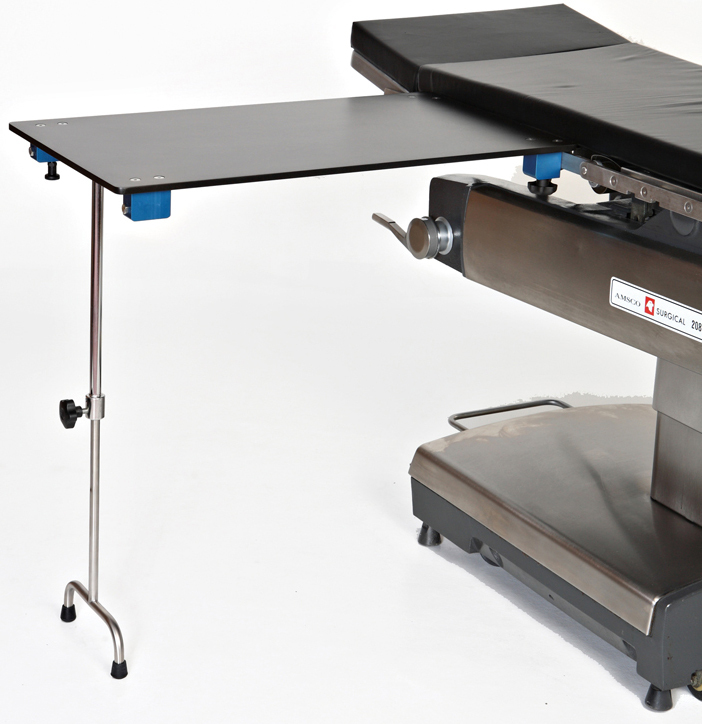 Operating surface is 18" wide x 32" long to accommodate a wide range of procedures. most durable and well built phenolic board on the market. 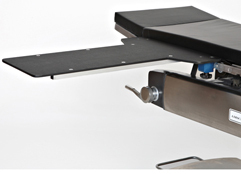 Radiolucent design offers very good C-arm imaging. Leg adjustment range is 12". Built-in handle allows effortless carrying and also acts as a convenient storage bracket, giving you a place to hang it from. Optional Add-A-Rail feature can easily be adapted to the end of this board allowing you to use multiple accessories. Choose from Single Post or Tee Foot design. Includes clamps and 2" thick pad. Hourglass Arm and Hand Surgery Table clamps positively to operating room table with unique posi-lock clamps - providing unmatched stability. 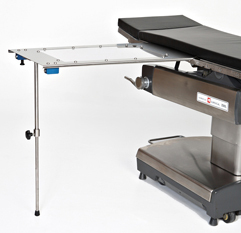 Operating surface is 15" wide x 32" long to accommodate a wide range of procedures. 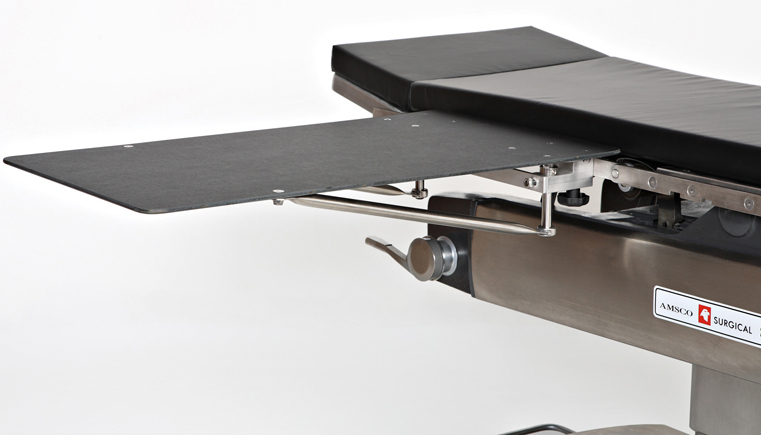 Hourglass shape expands the table width to 24" at the ends to enhance the surgeon's comfort. Radiolucent offering very good C-arm imaging. This one of a kind hand table size puts a smile on nearly every surgeon's face as it allows them easy access to their work. Operating surface is 12" wide x 30" long. No leg to restrict C-arm access. Clamps positively to operating room table with unique posi-lock clamps. Ideal for procedures such as fistula, angiogram and Angioplasty. Economical to fit your budget. Lightweight - weighs only 10 lbs. 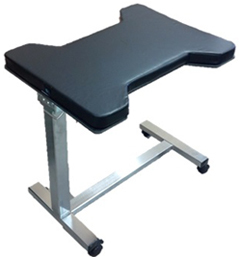 This legless design Carpal Tunnel Arm and Hand Surgery Table offers optimum rigidity as well as easy access for C-arm procedures. No leg to restrict C-arm access. Clamps positively to operating room table with unique posi-lock clamps for added stability. Large operating surface is 18" wide x 32" long. Weight: Only 11 lbs. Economical to fit your budget. 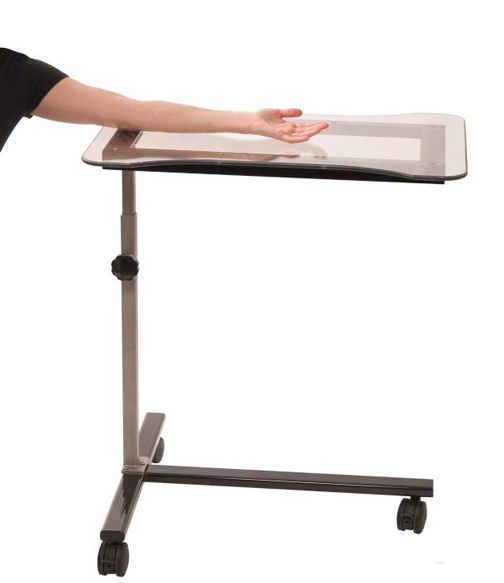 This hand table is completely invisible to all C-arm x-ray images. Connects and locks in seconds to O.R. table in seconds. Adjusts up and down so it is level with the O.R. table pad. Adjustable leg height with twist handle to lock it in place. Size: 16" wide at narrow end, 26" wide at wider end x 34" long. 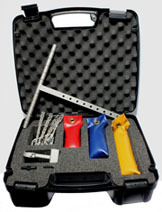 Softcare foam pad and clamps are included. Accessory rail and Softcare pad are included. Clamps are optional. 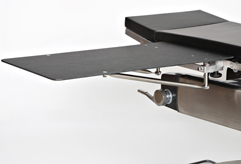 Hourglass shape Arm and Hand Table enables the surgeon to rest their arms. 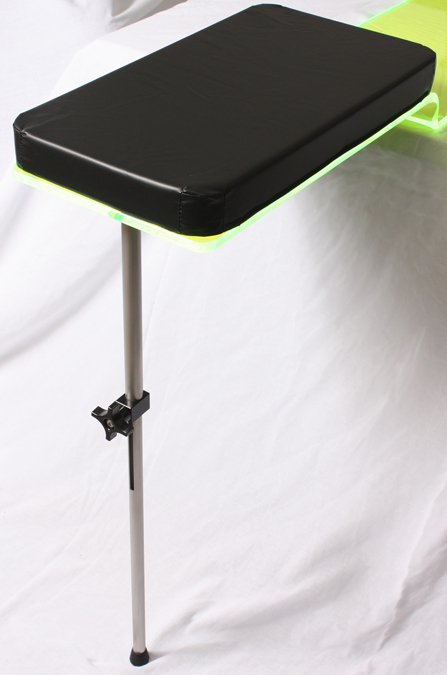 Table adjusts up and down to be level with the O.R. table pad. End rail accommodates traction attachment. Size: 15" wide at middle, 23" wide at table ends x 32" long. 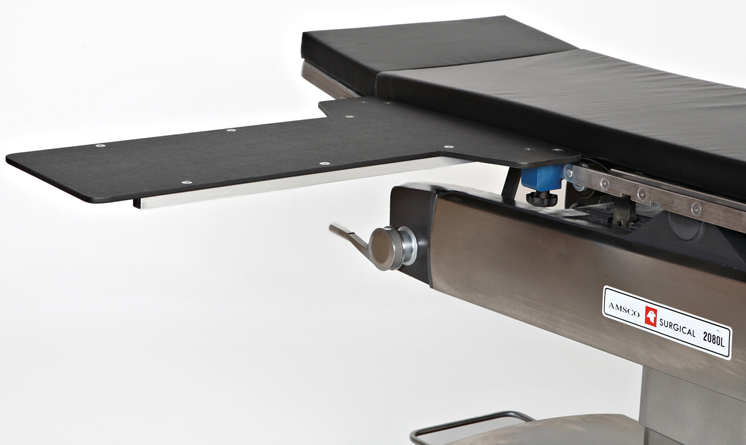 Lightweight, solid radiolucent Arm and Hand Surgery Table. Size: 15" wide x 34" long. Lightweight, solid radiolucent Carpal Tunnel Procedure Table. Table measures 15" wide x 30" long. Softcare pad is included. Clamps are optional. Includes clamps and a 2" thick pad. Carbon fiber is more durable than phenolic. with a better image with fewer artifacts. Clamps positively to operating room table with unique posi-lock clamps - providing unmatched stability. Operating surface is 18" wide x 32" long to accommodate a wide range of procedures. Yet it weighs a mere 9.5 lbs. Made with extra thick carbon fiber to provide superior strength when it is most essential. Allows for excellent C-arm imaging. of this board allowing you to use multiple accessories. Carbon fiber is more durable than phenolic, doesn't require any metal support bracing and provides you with a better image with fewer artifacts. 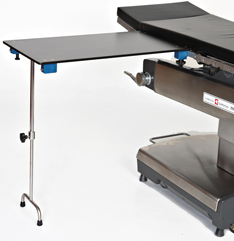 Operating surface is 15" wide x 32" long to accommodate a wide range of procedures. The durable table weighs a mere 12 lbs. Radiolucent offering excellent C-arm imaging. Built-in handle allows effortless carrying and also acts as a convenient storage bracket, giving you a plave to hang it from. Includes a 1" thick pad. 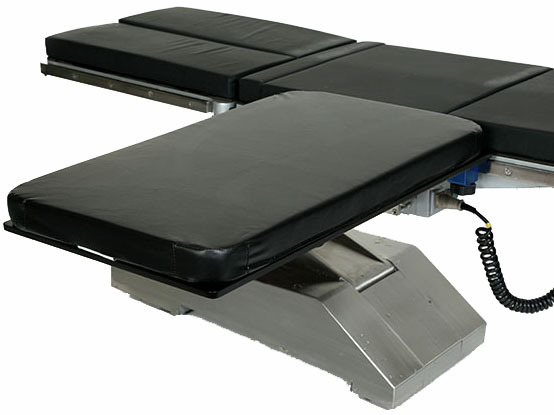 Hourglass shape Arm and Hand Surgery Table enables the surgeon to rest their arms. 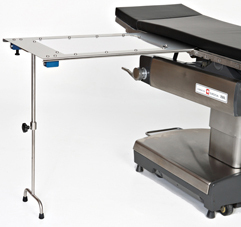 Lightweight, solid radiolucent rectangular Arm and Hand Surgery Table connects and locks to O.R. table in seconds. Lightweight, solid radiolucent rectangular Arm & Hand Surgery Table connects and locks to O.R. table in seconds. Lightweight yet durable carbon fiber construction. 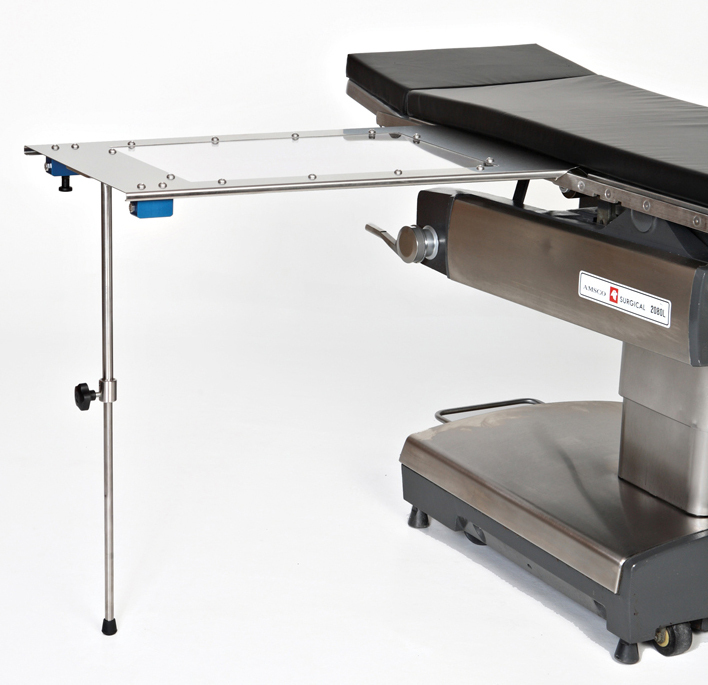 It has a 18" x 32" operating surface which serves as one of the largest available and still only weighs 9 pounds. No leg to restrict C-arm or X-ray procedures. Clamps positively to operating room table with our unique posi-lock clamps for added stability. 2" thick pad is included. 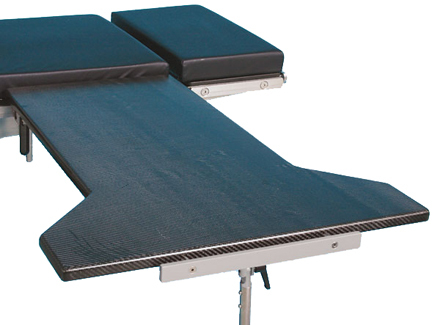 This is a very durable under pad mount style Arm and Hand Table designed for use with surgery tables or stretchers. 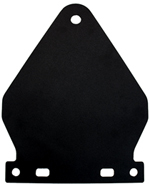 The overall length including the 15" section that slides under the pad is 47". The exposed/ padded table length is 32". The table width is 18". 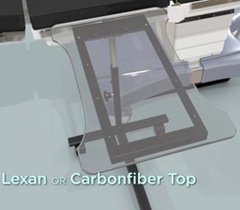 The clear, radiolucent poly carbonate section of the table measures 14" wide x 24" long. This is an ideal size for very good C-arm access. Designed to slip under pad. Patient won't even feel it! 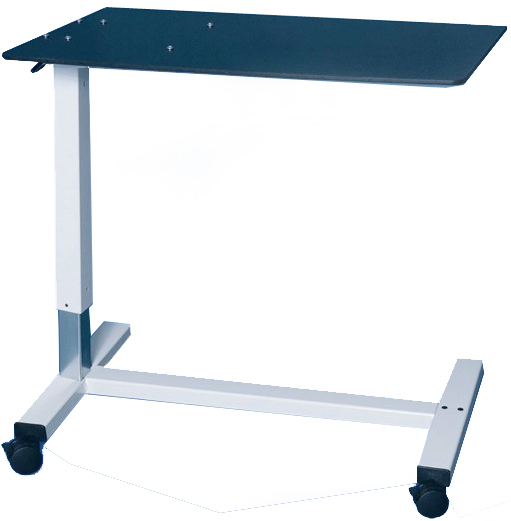 Frame and foldable/ collapsable leg features rugged stainless steel construction. A convenient handle allows table to be carried and stored effortlessly. Optional Add-A-Rail feature can easily be adapted to the end of this board allowing for you to use multiple accessories. 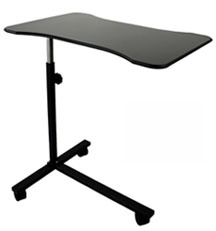 This is a versatile, functional arm/ hand table with a 2" thick pad for less than a thousand dollars! of your stretcher or table pad. 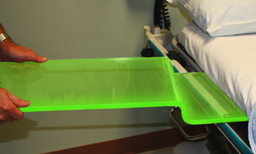 bright addition to any clinical setting. 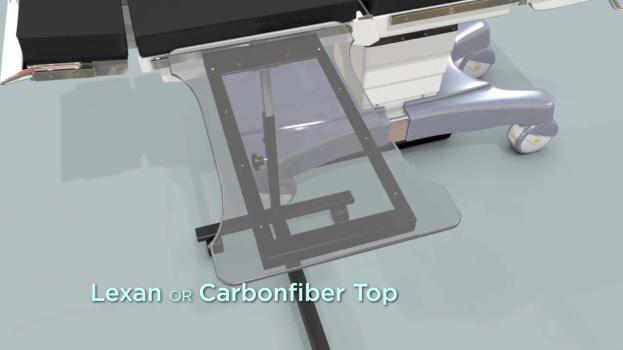 Transparent support; that's the whole idea behind these Underpad Mount C-Thru Arm and Hand Surgery Tables. Choose from the 11" wide or 15" wide version. 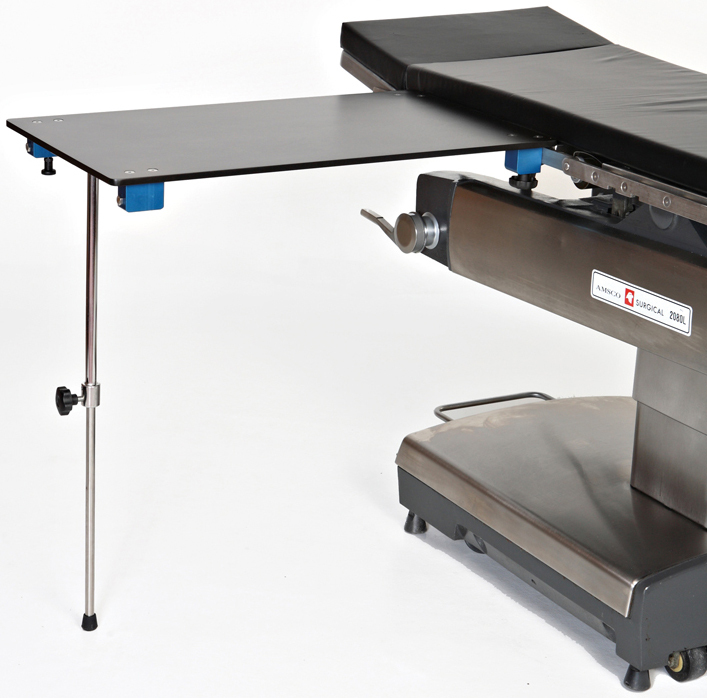 Use it as an arm/ hand surgery table or as a surgical table armboard. 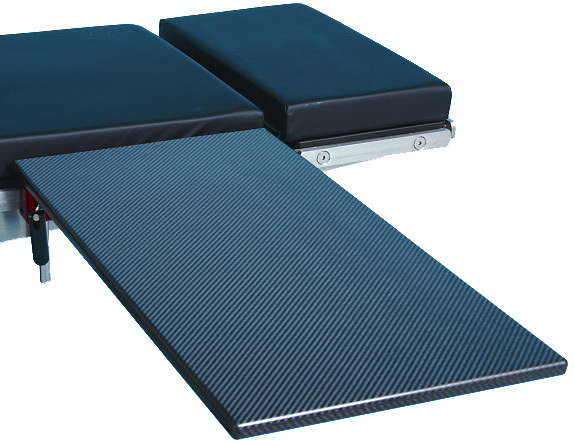 These C-Thru boards quickly slip under the pad of any surgical table or stretcher. They are held in place by the weight of the pad and the patient. No clamps are needed. They allow for easy-access for the C-Arm. These lightweight, easy-to-use arm and hand tables are entirely radiolucent. Available with an optional, detachable single support leg for extra support and stability. 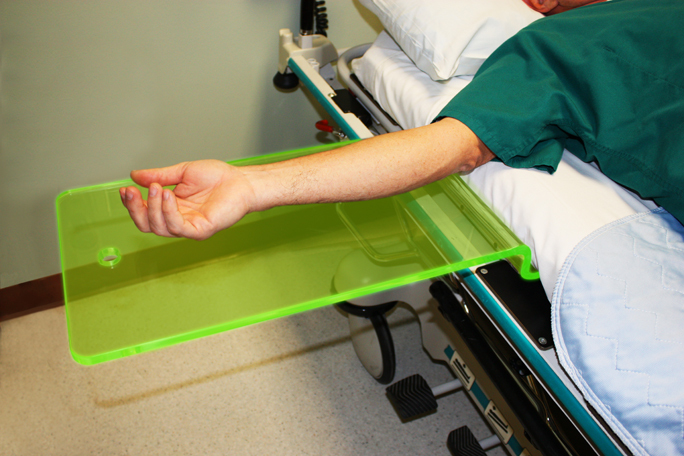 The optional 1" or 2" thick pad allows you to raise the patient's arm so the table is level with your O.R. 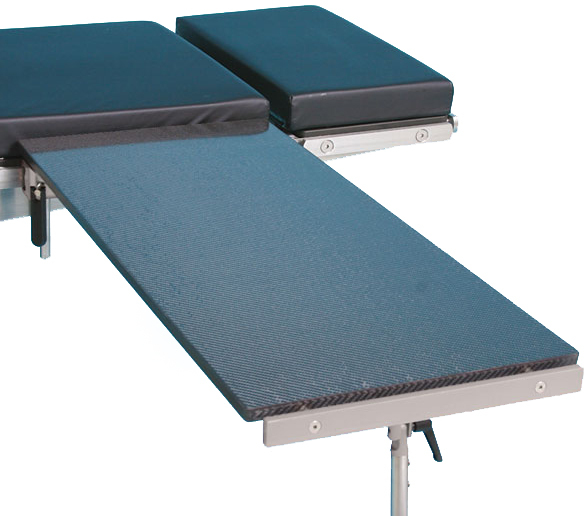 table or stretcher pad. The bend in the center of this board is 2" high. If your table or stretcher pad is 2" thick, you can use a disposable arm cradle positioning pad on top of this board to make it nearly level with your table or stretcher pad. 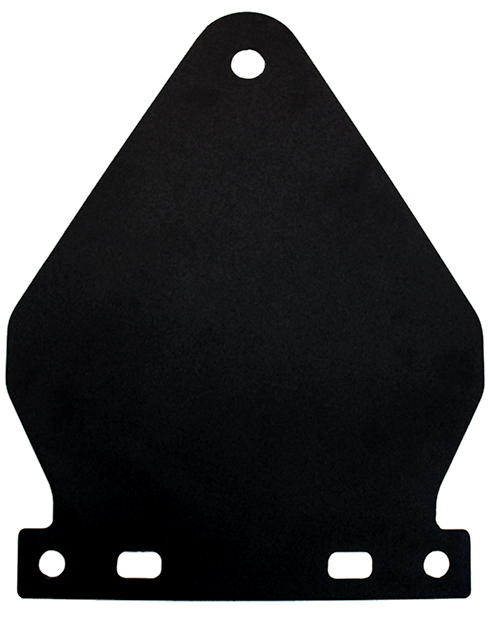 If your pad is 3" thick, you can use the optional 1" thick pad to make it level with your pad. If your pad is 4" thick, you can use the optional 2" thick pad. Dimensions and weight: 11" or 15" wide x 43" long. Half of it slides under the pad. The other half supports the patient's arm. Weight: Approx. 10 lbs. There's a 20" and a 23" long section. 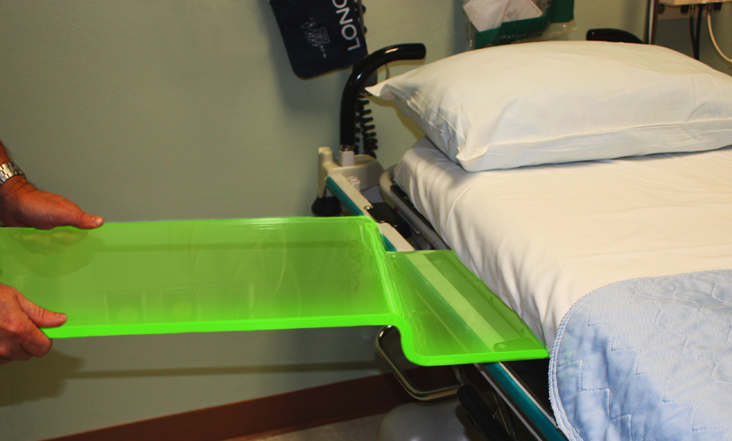 Use the section that best suits the length of your patient's arm and the width of your stretcher or table pad. Note: You may need to slide the patient to the opposite side of the stretcher mattress to accommodate taller patients with longer arms. These tables are extremely sturdy, simple to clean and store. Height adjustable from 32" to 47". Includes 2" pad and locking casters. It is available with or without clamps. or stretcher if equipped with side rails. 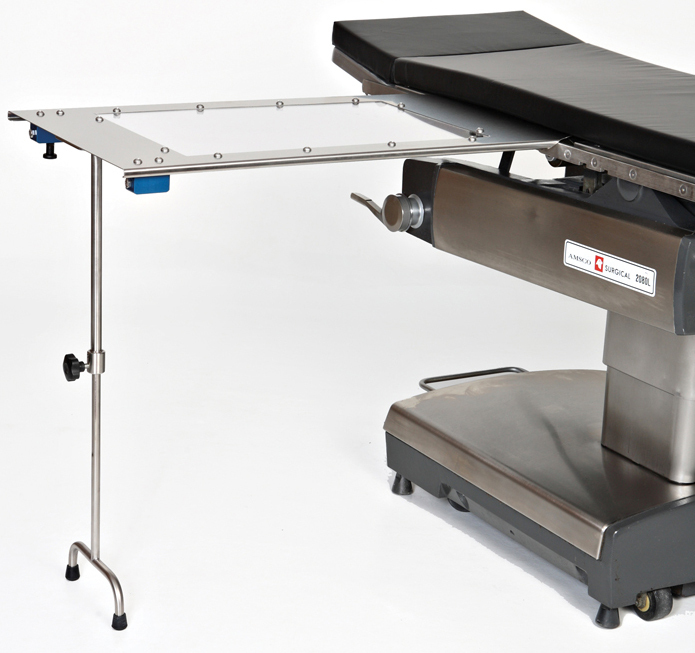 Here is an ideal radiolucent arm and hand surgery table for use with stretchers or O.R. tables. Simply roll it into place, lock the swivel casters and adjust it to the desired height. 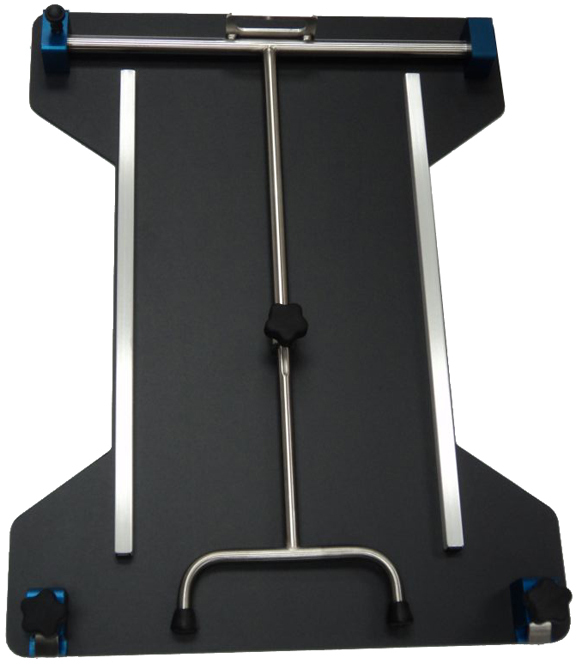 Roller base eliminates any need for lifting. 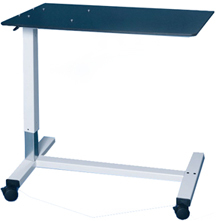 Easy locking casters provide a stable working surface. Table top measures 18" wide x 32" long. Base is constructed of chrome plated steel. or stretcher if it is equipped with accessory rails. stability. This reduces any movement in the table top. if equipped w/ side rails. 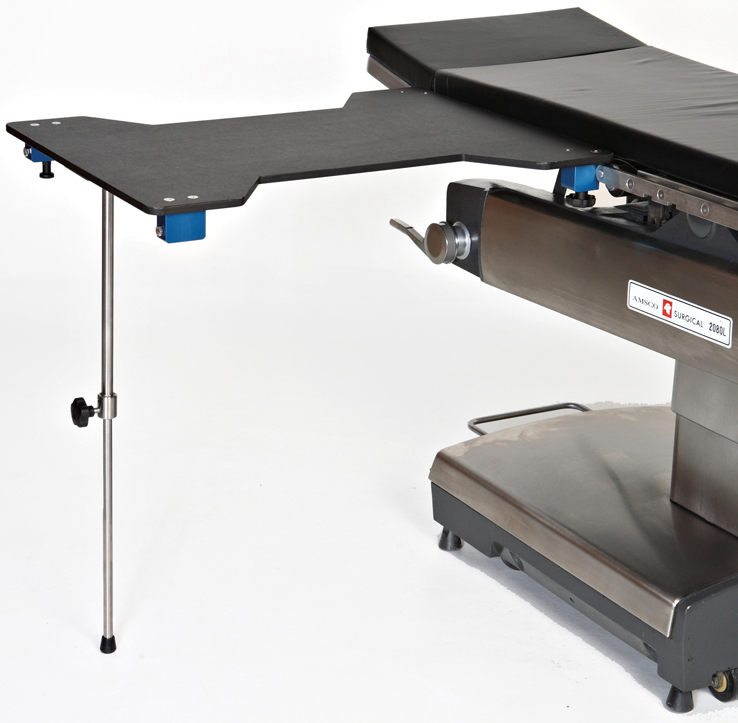 Here is an ideal radiolucent arm and hand surgery table ideal for use with stretchers and O.R. tables. Table top measures 24" wide x 32" long with the narrow part measuring 15" wide. All prices quoted are FOB Factory. Freight is pre-paid and added to invoice. 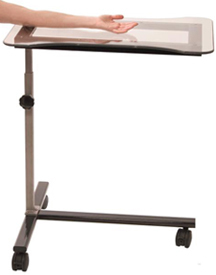 This upper extremity radiolucent arm and hand table is ideal for surgery centers, hospital O.R. 's and in-office procedures. It features a sturdy base with locking casters and a lightweight, extra-durable, hourglass-shaped Clear Lexan Top. Height adjustable, fluoroscopy compatible and stable - this table is an excellent value. Includes a three wheel, sturdy base with locking casters. You can position this table in a perpendicular or parallel position to your O.R. table or stretcher. 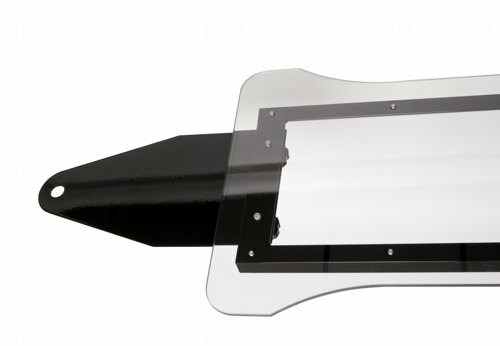 Made with Powder Coated Steel, Stainless Steel Base and a Clear Lexan Top. 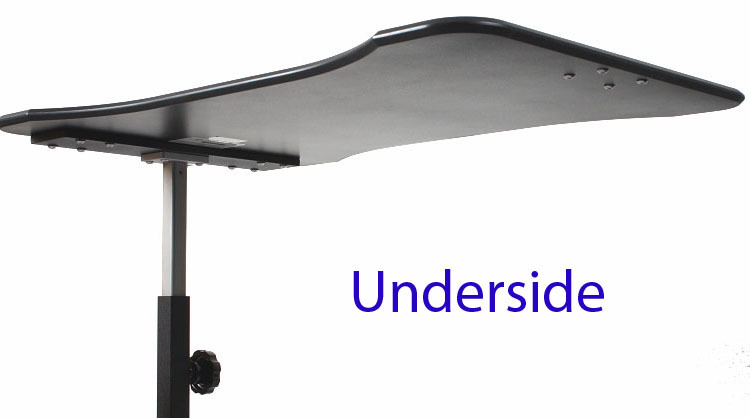 An optional Under-Pad Mounting Bracket that slides underneath the stretcher or O.R. table pad is available. Details are shown below. An optional Traction Package is also available. Details are shown below. It features a sturdy base with locking casters and a lightweight, extra-durable, hourglass-shaped Carbon Fiber top. Made with Powder Coated Steel, Stainless Steel Base and a Carbon Fiber Top. 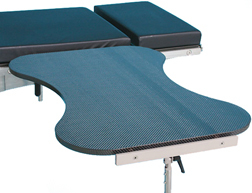 This optional Traction Package attaches to the end of the two above mentioned free-standing hand tables. 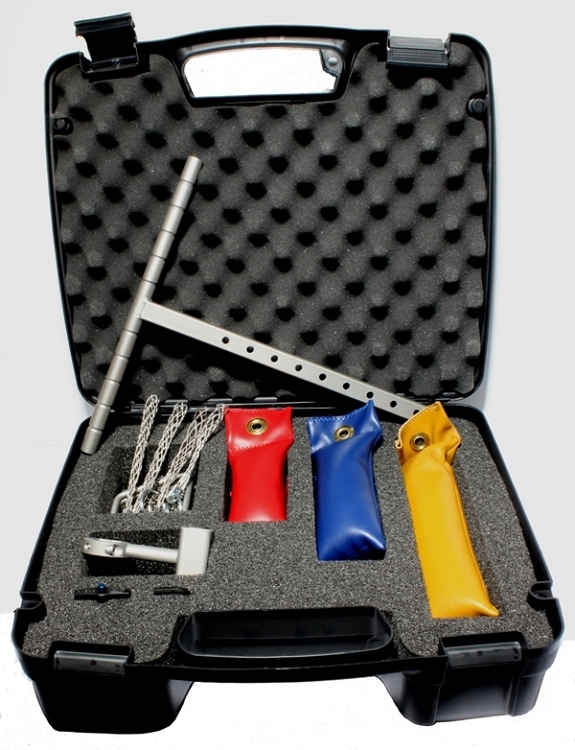 It includes a detachable traction rollerbar and detachable traction cup, a set of weights, four stainless steel finger traps with chain, four S-hooks and a carrying case. The Traction Cup mentioned above connects to the leg to hold the Traction Bar. 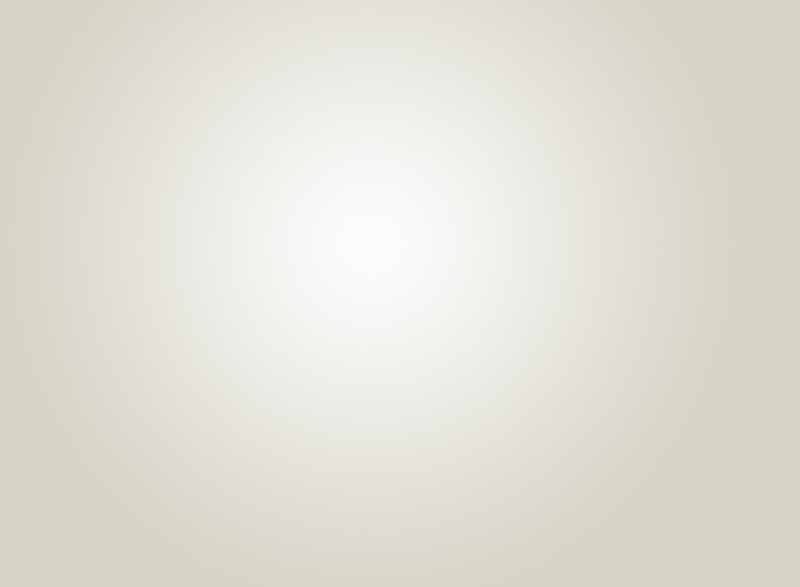 Click here to see a demonstration video. 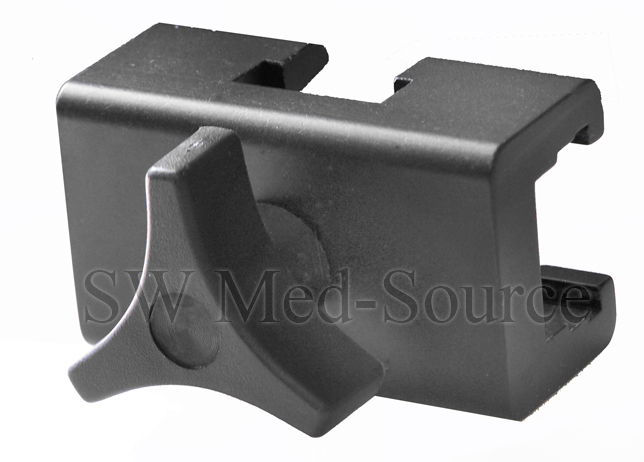 This optional under-pad mounting bracket slides underneath the stretcher or O.R. table pad for the two above mentioned free-standing hand tables. The patient's weight then holds the mounting piece in place. Knobs are included. This piece adds to the overall stability of the hand table. contamination and infection control issues. Returns on hand tables are subject to manufacturer's restrictions and restocking charge.